‘All sorrows can be born if you put them in a story or tell a story about them’ Hannah Arendt (The Human Condition, 1958, after Karen Blixen). ‘We have only one story. All novels, all poetry, are built on the never ending contest in ourselves of good and evil’. John Steinbeck, East of Eden, 1952. ‘Stories animate human life: that is their work… Narrative makes the earth habitable for human beings’. Arthur W.Frank, Letting Stories Breathe, 2010. ‘We have each of us, a life story, an inner narrative – whose continuity, whose sense is our lives…. A person needs such a narrative, a continuous inner narrative to maintain their identity’… Oliver Sachs, The man who mistook his wife for a hat, 1985. In the beginning was the story: for we are the story-narrating animals ceaselessly creating stories and dwelling in story telling societies. As we humans tell our stories, listen to the stories of others, and story our lives, our tales come to haunt, shape and transform our social worlds. Such stories come to be found in our documents of life littering our lives from birth to death. Yet we are the only animals living on planet earth to have this capability for telling, appreciating and living stories; and we seem to have done so from the start of the history of humankind (as the documents in the cave paintings with their image stories suggest and Aristotle tells in the writing of his Poetics). Other animals can surely communicate: but they do not seem capable of telling and writing stories to transmit across cultures and generations. These stories have significance and we need always be mindful of the tales we tell and the tales we hear: for stories have consequences. We should always be careful of the tales we tell for stories and their documents are our futures. We ask just how do stories work their ways in human life and human nature? Stories usually tell of something happening- real or imagined, fact or fiction. Somebody does something: there is a tick and a tock. Stories speak of our doings and they harbour the plots, the characters, and the story lines of our moments. We ‘story’ – and perpetually ‘re-story’- giving our inchoate and multiply complex experiences a form and a shape. As we tell the stories of our lives, so we create the documents of life which display them. Stories direct us to what is told while narratives tell us how stories are told. Narrative theory is about the arts and science of telling: the process and procedures through which stories are accomplished. Narratology – as this study of how stories are done – was only recently invented as an academic discipline; but people have been interested in how we tell stories for millennia. Stories may be seen as resources to help us understand the world around us; or they may be seen as topicsto be investigated in their own right. Stories have an inner life – the stories they tell us; and an outer life – a narrative reality that works its way through the wider society and history. Stories may be personal, subjective, ‘my story’ – belonging to an individual; but they can also be social, collective, ‘our story’ belonging to the group. We look for a language of stories and narratives that will help us see the human world more clearly. The stories and documents of our lives are infinite. We dwell with narrative difference and narrative pluralism. Traditionally, they have been told in myths, epics, legends, folklore and fairy tales. They have been told in the great religious tracts –from the Garden of Eden in The Bible to the Koran – as well as the everyday mundane scribbles and gossip of bathroom walls and stick-it labels. There are the great tales of literature, drama, law, poetics; the story telling of pottery, music and documentary. Stories harbour great narrative forms: tragedy, comedy, romance, melodrama, satire, farce; alongside lesser ones: jokes, anecdotes, gossip. Our clothes, our fashions and our artefacts can and do tell the stories of our homes and lives. There are our ‘documents of life’: the autobiographies and life stories, the obituaries and the tombstones, the oral histories and the family histories, the desert island discs, the playlists, the diaries, the letters and the blogs. There are the bildungsroman, the genealogies, the therapeutic self-tales, the memoirs and the auto/ethnographies. There are narrative visuals: in art, sculpture, stained glass windows, architecture, photographs, film and video. And nowadays our story tellings have exploded beyond the old technologies of film and television into the digital narratives of websites and you tube videos, in second life realities and digital games fantasy: on social network sites and tweets. Stories are multiple and multitudinous, arriving in many shapes and forms, speaking of many different things, appearing across all forms of media. They also weave and interconnect with each other creating a vast inter-textual panorama in which we dwell. They hold keys to the emplotment, ordering and unlocking of the vast complexities and flows of unique human life. There is, then, never the one and only story: the fixed and unitary tale does not exist. Stories change, fragment, multiply, disperse. There are many differences of forms and structures; there are always differences contained within the story; and there are always different audiences in the outer world who make very different senses of the stories. We must ask about the vast range – difference, variety – of documents of life, story forms and their contents. We need stories in order to live a human life. Stories help keep us alive: that is their work. Telling a story about ‘the person’ one is helps construct a life. And we go on constructing, reconstructing – yesterday and tomorrow. No story, no human life. We humans cannot bear too much abstraction and stories ground us in everyday life, often providing us with a coherence and a meaning. They can turn personal chaos into order. They can help us to make sense of our lives and the world around us; and in times of crisis, they can help repair damaged lives. Stories have important roles to play in all cultures: they become our road maps, our tour guides, our key clues to unravelling any culture. They can foster our imaginations. They can stimulate empathy, develop dialogues and create connecting bonds with others. They can mark our moral landscapes and their boundaries. They can give us information, generate rituals and maintain orthodoxies. Yet they can also raise challenges, provoke change and set new agendas. They are at the heart of our educations. Stories can celebrate and critique. More: stories become our companions through our lives. They are present across the life cycle as we tell the stories of our birth and childhood, our youth and adulthood, our ageing and dying. Our stories become our memories, giving shape to our lives. Stories memorialise our lives in our families, our schools, our works, our loves, our communities; they speak out from photograph albums, the music we hear and love, and the books we read and cherish. They document our lives as they shape them. Stories accompany us through life and become our companions. And our autobiographies may be the highest form of story we can make for understanding human life: telling a good life story can be a great personal aid as well as a gift for others. Good stories are our good friends, our best friends, trusted and true. Bad stories are our traumas, our problems, our fears. Stories can make life easier; but they can make it harder too. And stories become our memories. Above all stories tell us what it means to be living and human. Ultimately they tell us about good lives, flourishing lives, wasted lives, damaged lives and even evil lives. They guide us in our perpetual search for the meaning of life, the projects of existence, of the day and the moment. We ask how we live through stories, personally and culturally, and how they change the humanly made social world. How does any story come to be told? Why is one story told rather than another? Stories are always contingent. Just how a story is crafted depends on many changing events resting on a fivefold structure of when it is being told (time), whereis it being told (place and space), whois being told (audience), why it is being told (motivation), and whatis being told (contents)? Different stories will be told in different times and places to differing audiences and with different motivations. Stories are always changing through this fivefold structure and these are the contingencies of story telling. We ask about the origins, genealogies and life stories of stories. Humans may be the ubiquitous story tellers and we may be very good at telling stories every day of our life. But we may be less good at understanding them. For stories are never transparent all at once: they are rarely immediately clear. Narrative understanding requires the space to sit and stare, ponder and puzzle and life often does not offer such a space. But like a slow moving veil or curtain, the wisdoms of our stories can be revealed gradually. We grasp our meanings slowly, bit by bit. We need time to appreciate stories. Stories are always representations of reality; and the presence of stories must always pose questions about their relationship to truth, fiction, reality, copying. Where might reality start and story end; or story start and reality end? Although stories provide their own narrative reality, there is surely a reality beyond the text? And narrative understanding must take us to this further land. It helps us see bridges to wider understandings. Narrative understanding is always multiple and its understanding has many forms, takes many shapes, speaks in many voices. Narrative bridges can be scientific, aesthetic, pragmatic and practical, imaginative, hermeneutic, personal and subjective, and even spiritual. We need science to help us see the real; aesthetics to help us see the beautiful; pragmatism to help us see the consequences of our ideas; imagination to help us push horizons and break boundaries; reflexivity to locate and ponder our own relation to it all; spirituality to help us foster wider connections to nature and to the pluriverse; and wisdom to help us tie it all together. We need to ask how we can create story bridges to truth, beauty, practice, imagination, reflexivity, spirituality and wisdom. There are now a mess of scientific methods to dissect stories. Amongst others, we have content analysis, argumentation analysis, semiotic analysis, rhetorical analysis, interpretive phenomenological analysis, discourse analysis, critical discourse analysis, situational analysis, conversational analysis, free associational analysis, biographic-narrative analysis, thematic analysis, visual analysis and many others. But too much science can overwhelm our tales. All can indeed reveal a partial truth; but many additional skills are needed to complement them. Thus we also need a sense of the beauty of stories: ’truth is beauty’. We need a sense of how stories are put to use – their practical and lived realities. We need an imaginative flare – the excitement of moving creatively towards new and unexpected horizons. We need our own self-reflections alongside the self-reflections of others. We need a sense of amazement at where the story fits into the wider cosmos. And we need ultimately an understanding of all our understandings. When we start do all this and connect to the history of our own experiences, we might just start the journey to Narrative Wisdom. It is a goal to strive for yet very few will ever reach. We ask to how to appreciate, evaluate and search for the wisdoms of stories. In sum, we ask how meaning, time, dialogue, embodiment, emotion, inequality, power and globalization can dwell in stories and shape them. Social analysis and research is not something outside of social life and hence not something outside of stories. Social science needs to take more seriously its narrative forms and its humanistic foundations. It need to foster styles of thinking and writing that take seriously the documents of our lives, and which encourages the creative, interpretive story tellings of lives – with all the ethical, political and self – reflexive engagements that this will bring. There has always been a strand of this research and thinking in human societies, but recently it has been swamped by a more scientistic and abstract view. Yet human societies are always the story-narrative societies; and social research that runs itself away from the people, that does not get close to them, that does not sense the complexities, contingencies, creativities, choices, ambiguities, fragilities and multiplicities of social life is itself a problem. Social life cannot and should not be perpetually measured or reduced to a statistic, a table, a logarithm, or a ‘methodology’. We need stories and the documents of life to make sense of the world around us, to help us engage in ethnographic closeness with the lived world. Research needs always to bridge into theory and always to be dialogic, reflexive, ethically-sensitive, empathetic and politically connected. We ask how people and their stories can be best studied through the documents of life they ceaseless produce and claim we should stay grounded with the people not the abstraction. Be careful of dehumanising theory and method. At the heart of story telling lie human empathy with different, imaginative lives – and their different values. Stories enable concrete empathy with the world wide common problems of humanity and in doing this, they play a crucial moral and political role in human social life. Human beings cannot bear too much abstraction, too much philosophising, too much grand generalisation: we need the concrete to make sense of the world, the meat to eat. And our everyday life drips with stories of how people live and love, work and play, hate and die. It is in these concrete tales that we can also find significant potential in the search for universals: on the place of our human nature in the cosmos, on ethical guidelines on how to make and live a life, on the politics of the good, or at least better, society. Educationalists, reformers, religion-writers and law-makers know this very well as they stuff their writings with parables and case studies to give us their universal insights. The moral call of stories helps us hear ‘different voices’ and provides us with a widening expansion of our circles of empathy and the moral universes we can live in. Stories can inspire a ‘moral imagination’ and help us develop a ‘communication ethics’. Through being attentive to the ‘narratives of virtuous people’, we can construct our sense of a good life: stories of others can help us see the possibilities of leading better lives – and sometimes worse ones. Stories provide ‘sympathy biographies’ where we appreciate the moral dilemmas of life; give us ‘grounded moralities’ where we see how these moral dilemmas are faced practically in everyday lives ; and ultimately can give us hope for our ‘moral journeys’ and ‘moral passages. Ultimately stories, and especially, life stories can provide what Robert Park called a ‘quiet catharis of comprehension’ helping us to appreciating other lives and enabling us to overcome that dreadful ‘certain blindness’ to the difference of others that we routinely ignore but which we all have to try to live with. As Robert Coles nicely claims, they help us in ‘handing one another along’. Many influential philosophers have long recognised all this – we find the powerful work of stories in the writings of Alasdair MacIntyre, Richard Rorty, Benjamin Barber, Martha Nussbaum, Charles Taylor, Hannah Arendt and many others. Beyond ethics, stories inspire a political imagination. Maybe a political-ethical awareness. Listening to the stories of the lives of others whose world may be different from yours is a pre-requisite for democratic functioning, for the working of societies seeking a respect and recognition for human differences. As we hear tales of sorrow and suffering, of outsiders and the excluded, of strangers and the marginal, of the colonized and the wretched of the earth, of the stigmatised, the outsider, and ‘the other’, so stories deepen our sympathies, our imaginations, our critiques of a damaged world. It is why stories are so often used by social movements, by reformers and campaigners, by educators and by humanitarian activists to provide exemplars and case studies to help us all see the need for and possibilities of social change. Stories of political change are thus to be found in ‘political spectacles’ everywhere: in news stories; in commissions, tribunals and government reports; in personal testimony and celebrity stories; in historical and anthropological case studies; in documentary film and photo; in journalistic reportage, interviews, blog activism: all those media which tell us daily of a failing world we need to change. Stories help fashion political identities, political campaigns, imagined communities, discourses of the ‘others’, the literature of human rights: and in all this political change for the better becomes more feasible. We ask, then, how our moral and political lives are fuelled by stories. For our humanity speaks to the humane, the humanitarian, the humanities and the human. An ethics of the humane tells stories of kindness, empathy and caring. A politics of humanitarianism brings a concern for others and tells stories of human rights and social justice. A method of the humanities speaks of the ambivalence and fragility of the human predicament – from poetry to statistics, from life stories to interviews, from art to maps, from film to drama, from documentary to journalism. And the focus on the human brings a clear focus on human beings, telling tales of universal differences of that embodied, historical, huffing and puffing little animal struggling to create human meaning and social purpose for all, making little Gods of the little animal who shits. Human beings are the creative, contingent, contradictory, complex and ever changing symbol-manipulating animal. We are individuals while being deeply shaped by the social. Our humanist inheritance is a long-standing argument to place little lived human lives at the core of our thinking. It focuses on how human beings are symbol manipulating creatures living their lives embodied and embedded in different kinds of historical and social situations, even as they simultaneously tell their stories of it. 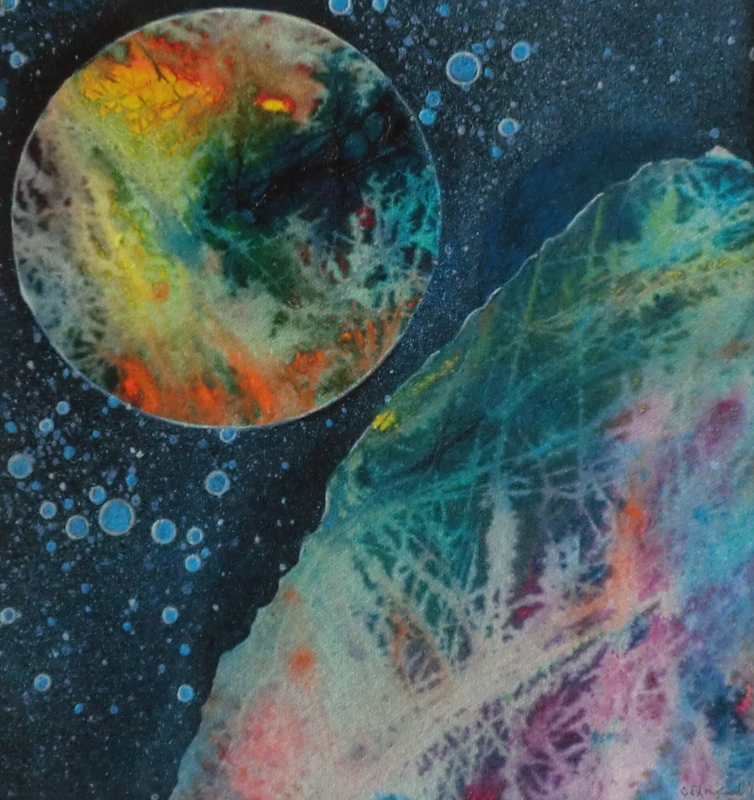 Human life unfolds precariously in a vast heaving universe of contingency and change. At its heart is an ontology of the human being as a bundle of potentials and capabilities which need appropriate social conditions for lives and stories flourish. Without the right social conditions human life becomes flawed and damaged and prone to too much suffering: lives become ‘wasted’. We need to tell stories about our potentials to flourish, about our capabilities and capacities. Of how we can life a life; develop good relationships with others; maintain our health and keep our bodies away from harm; move around the world freely, autonomously and safely; foster our senses, our imaginations and our care for the world. And yet remain practical and grounded throughout all this in the short time we have to live. A Critical Humanism is not a naïve humanism but insists on staying critical: it does not presume a constant and universal wonderful human being but keeps its challenging eye upon darker matters and to a wider potential of human possibilities. Humanism has taken many forms throughout history. It is certainly not a mere a product of the West, of Europe or the Enlightenment and can be found in many cultures and across history (although there is a specific, if limited and limiting, form identified with the West). Critical Humanism agrees that much of human history shows human beings to be nasty, violent, cruel beasts; but there is a positive side too, a world of possibilities for good, and that has to be encouraged. Critical Humanism is not necessarily atheistic – but it against religious absolutism, tyrannical churches and belief dogma. Critical Humanism cannot claim that humans are superior beings in the universe, even though other versions of humanism might. Critical Humanism has to place the human being in a wider environment of animals and nature in a vast universe: it values our species but remains humble about it in the cosmos. And for Critical Humanism it is stories which help to give human value to our lives and our ways of being in the world. The challenge for humanism is to foster stories of dialogue (of recognition, empathy, care, kindness, generosity, love); stories of human flourishing (of ‘good people’ & their virtues); stories of social justice (of rights, equalities, freedoms); and stories of a perpetual cosmopolitan hope for a better world for all in the not too distant future. The challenge is on to listen to, to watch, read and perform inspiring stories of the good life; to challenge the dark stories of harm; and to create collective stories of a better world. How can our stories make for a better world for all and enhance our humanity? I am so against our common stories of the market place, needed as they may be. in a world of often unbearable darkness. in a world of chaotic complexity. in a world of monologic terrorism. in a world of wasted lives. in a world ruled without justice. in a world of indifference and carelessness. Treat others as you would be done by. Tell stories that will help the others. And Be kind. Be kind. Be kind. The stories of stories, narrative and narratology are voluminous. Here is the briefest of guides to the Manifesto. The foundational text is surely Aristotle’s Poetics (circa 335 BCE). 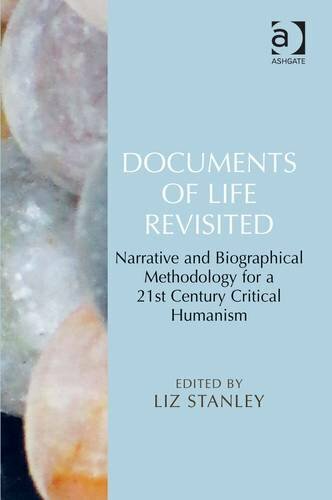 On the general notion and history of Documents of Life, see Ken Plummer Documents of Life -2: An Invitation to a Critical Humanism (London: Sage:2001). On the idea of storying a life, see Dan P. McAdam The Stories We Live By: Personal Myths and the Making of the Self The Guildford Press, 1993. The range of debates and key words on narrative can be found in…. Routledge Encyclopedia of Narrative. For a broad sense of narrative understanding, see Arthur W. Frank Letting Stories Breathe: A Socio-Narratology (Chicago: University of Chicago, 20100. For more specific strategies, see Carolyn Riessman Narrative Methods for the Human Sciences (London; Sage; 2008).The idea of Narrative Reality can be found in James A. Holstein and Jaber Gubrium Analyzing Narrative Reality (London: Sage: 2009); on the diversity and reading of stories, see Sidonie Smith & Julia Watson Reading Autobiography: A Guide for Interpreting Life Narratives (Minnesota: University of Minnesota: 2001). On the ethics and politics of stories, see Robert Coles Handing One Another Along: Literature and Social Reflection. NY: Random House 2010 ) ; Kay Scaffer and Sidonie Smith Human Rights and Narrated Lives New York: Palgrave: 2004); Michael Jackson, The Politics of Storytelling: Violence, Transgression and Intersubjectivity (University of Copenhagen: 2002); Charles Tilly, Stories, Identities and Political Change Rowman & Littlefield, 2002); Molly Andrews Shaping History: Narratives of Political Change Cambridge University Press, 2007; Maria P.LaraMoral Textures: Feminist Narratives in the Public Sphere (1998: Cambridge: Polity) ; Alastair MacIntyre, After Virtue: A Study in Moral Reasoning. (Oxford:1984); George W. Noblit & Van O Dempsey The social construction of virtue: the moral life of schools (New York: SUNY: 1996) ; Martha Nussbaum Cultivating Humanity. (Harvard; Harvard University Press; 1997); Ken Plummer (2003) Intimate Citizenship (Washington: University of Washington; 2003).